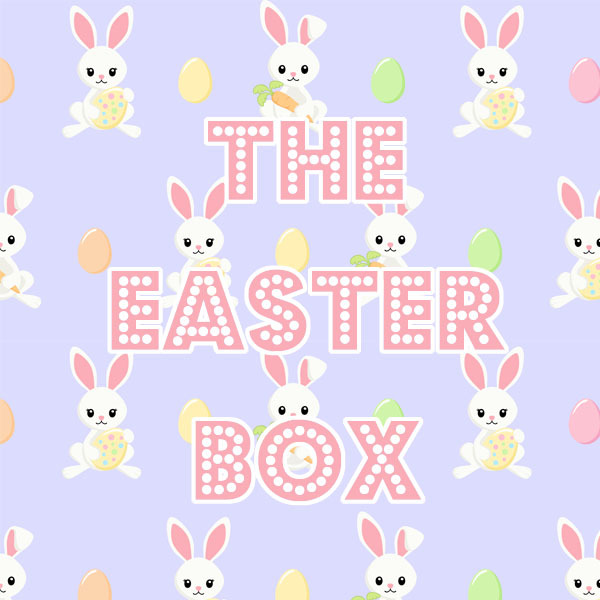 Introducing our Woodland Box for October! This box has a real Autumn feel to it, with cute mushroom and leaves moulds, weather cutters, sprinkles with tiny clouds and flowers and loads more! 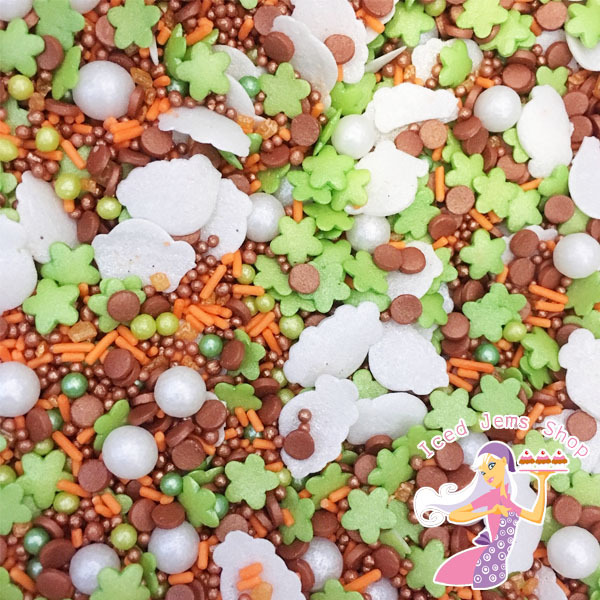 First up are the Woodland Mix Sprinkles! This might be our cutest mix yet, with tiny sprinkle clouds and flowers. I’ve used these in one of the tutorials below. The first mini tutorial using the goodies from this box is this super cute autumn scene cupcake! 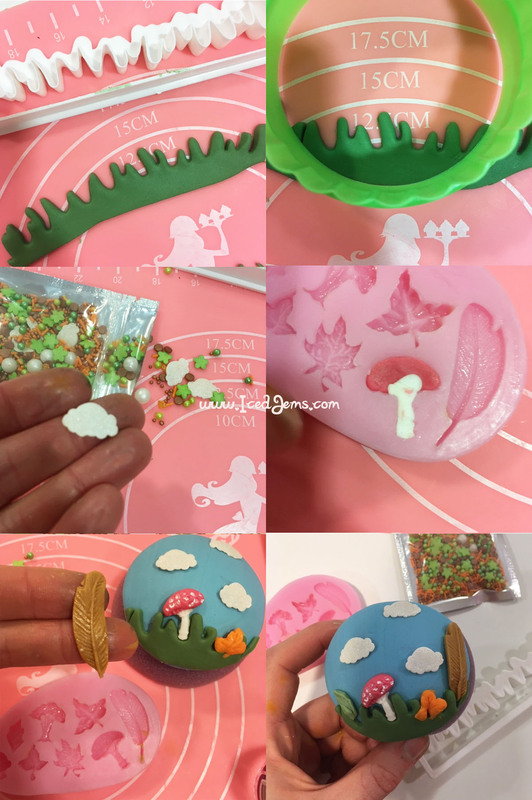 Using the Mushroom & Leaves Mould, the grass cutter from the cutter set, the Woodland Mix Sprinkles and some sugar paste. To make this cute cupcake topper I used a Foam Ball (for drying your toppers into cute dome shapes) and a 7.8cm Round Cutter. I rolled out blue sugar paste and cut out a 7.8cm circle shape, then placed it over the foam dome and smoothed over it into a dome shape. I then rolled out some lincoln green sugar paste and used the Grass/Fire cutter from he set of 5 cutters in the box to cut out some grass for the bottom of the cupcake. Use your 7.8cm cutter to cut the grass to the exact correct shape of your topper. I then added a few clouds using the woodland mix sprinkles! Simply use a little bit of edible glue to stick them to your topper. 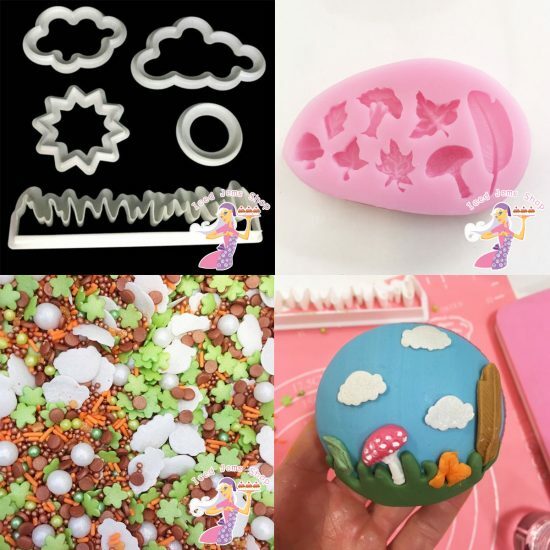 To add the final details, use the mushroom and leaves sugar craft mould. I made a few leaves, a feather and cutter mushroom. All moulds work best with a small spray of cake release spray before using, simply spray a small amount into the mould at arms length and your paste will fall right out. For the mushroom I pushed some red paste in first for the top of the mushroom and then a small amount of white for the stem. Attach the decorations to your topper using edible glue. I also added a little extra detail to the mushroom using some white edible paint and a fine paintbrush. Next up in the box is this set of 4 Flower Presses! 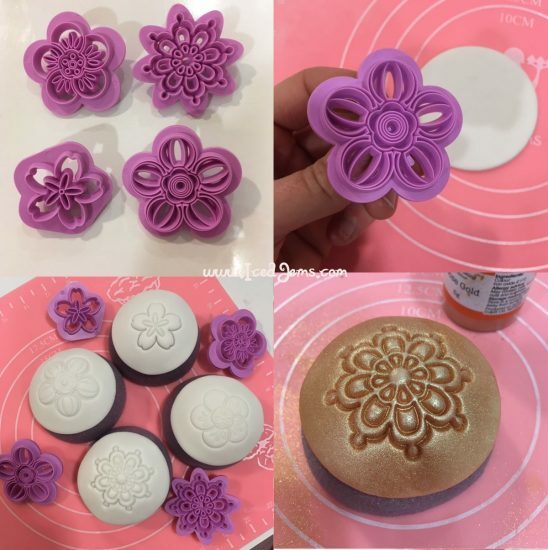 Super easy to use, simply push into sugar paste for pretty flowers and patterns. You can also roll florist paste out super thin and cut out shapes using them. 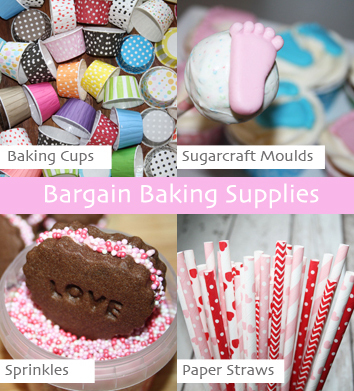 I made some cute cupcake toppers with these, dusting them with a little edible dust really highlighted all the detail. Next up to use is the fab Leaf Chocolate Mould and the cute bunting topper (with woodgrain straws)! 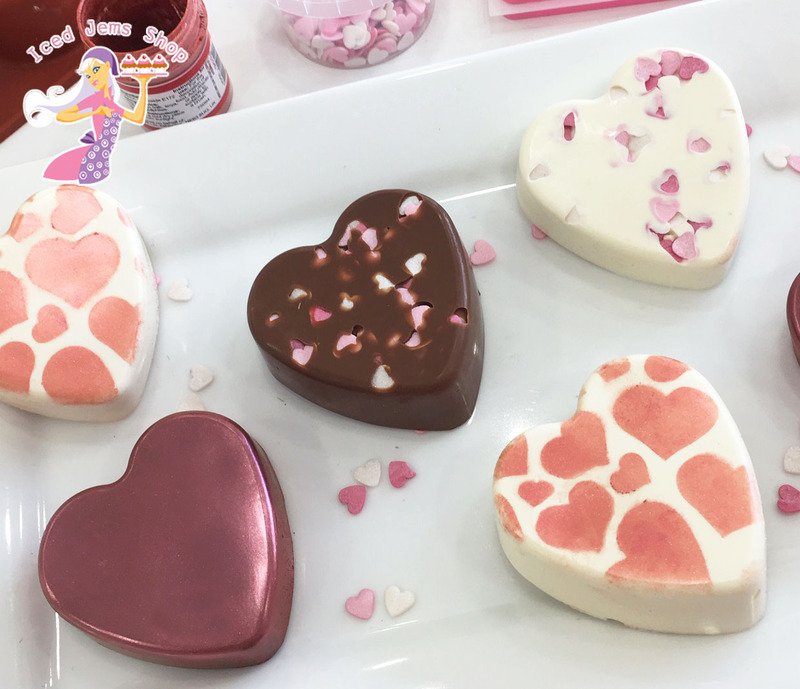 The chocolate mould can also be used with sugar paste, cookie dough, jelly, ice and more. 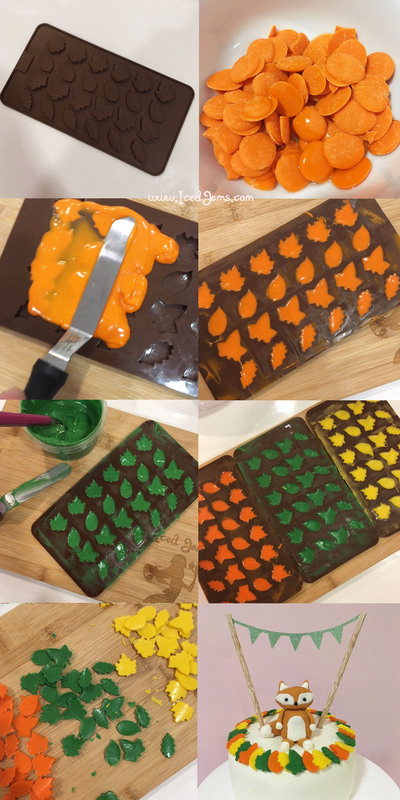 I used candy melts instead of chocolate as I wanted bright autumnal colours, I mixed a little vegetable oil with my candy, melted it in the microwave then poured ver the mould. 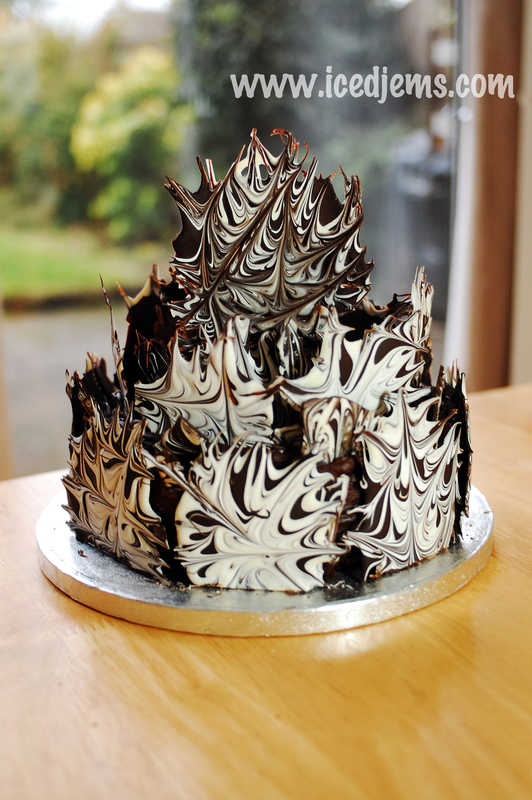 I used palette knife to spread the chocolate our and scrape away any excess, you can also tap the mould on a flat surface a few times to get rid of any air bubbles. Once your candy is in, place the fridge to set. Once set, simply pop out of the mould. I arranged mine in a ring around a large cake like a wreath, I then finished off the cake with a cute fox topper and the bunting from the box. 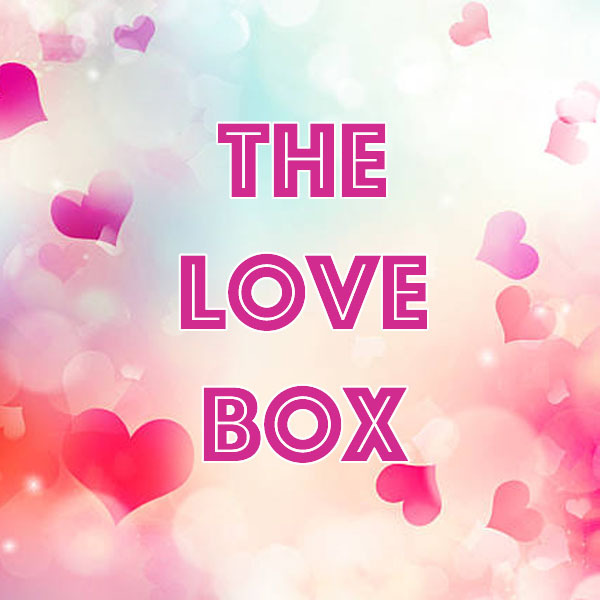 I hope you loved this months box and all the cutters and moulds! 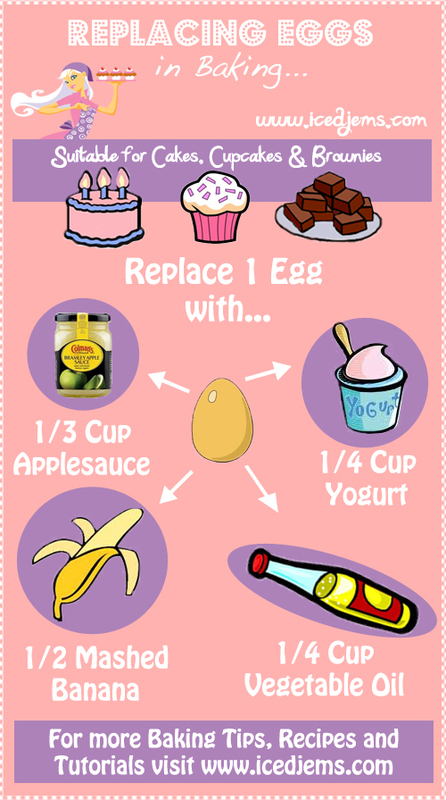 Be sure to tag your creations using the goodies from the box using #IcedJemsCakeClub!